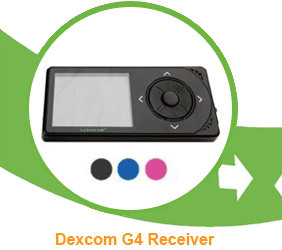 Introducing the latest in glucose sensing technology, the Dexcom G4 Platinum brings a sleek modern profile with the first-of-its-kind screen colors so vibrant, you'll know and see, quickly and easily, when you're trending high, low or good to go. Uncover what your meter can't tell you. Recover your power over diabetes. 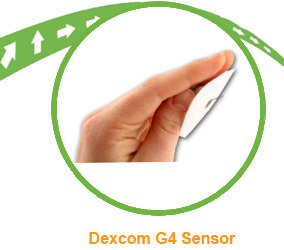 Discover the difference with Dexcom. More than ever before using a CGM or continuous glucose monitor system can be beneficial for those with diabetes who need to anticipate blood sugar trends or tracking patterns. 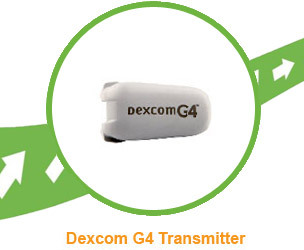 The G4 series produced by Dexcom is the most accurate CGM on the market offering breakthrough technology (CGM is used in addition to regular blood glucose monitoring). Patients on insulin pump therapy or those who take multiple insulin shots daily can experience large blood sugar swings and will obtain added blood sugar readings every 5 minutes. Trending information makes you aware of blood sugar changes before they happen. Rising blood sugars above 200, called hyperglycemia, or decreasing blood sugars below 70, called hypoglycemia, can occur because of changes in food, exercise, illness, or medication. Bypassing the problem or being prepared with treatment before a problem occurs can be a life saver. This product is recommended for those 18 or older, non-pregnant & those not on dialysis. CGM is not recommended for daily medication decisions; always check with your physician for changes in medical treatment. Sensor placement is FDA approved in the abdomen only. Setting an even higher standard in CGM! Get quality products at discounted prices, enjoy fast and reliable service at ADW Diabetes. We stock thousands of diabetes supplies and related products. Prices and promotions are subject to change without notice. Trademarks and registered trademarks are property of their respective holders. Copyright © 2019 ADW Diabetes®. All Rights Reserved.